Honey Gold Jasmine’s DOWN TO EARTH, OUTTA THIS WORLD project Supanova 7: Gold Soil is told thru comic & song & she needs your help to continue the story thru visuals! She is teaming up with It’s Taylor Made Media to bring the story to life. In the visuals, she finds herself in a world where writing music is illegal and can only be taken through a pill, so with only the guidance of her Inner G, she must bring harmony to the world again. The goal is $6000 and with YOUR help, it can definitely be reached! The campaign funds will go to production costs (includes PAID acting opportunities), a music video for youth in Beats, Rhymes and Life (@hiphoptherapy) music therapy program, merch, & initial seed funding for a music video festival. Now is the divine time to donate, so tap in with the link in her bio to unlock your special perk for donating to this dynamic campaign today! 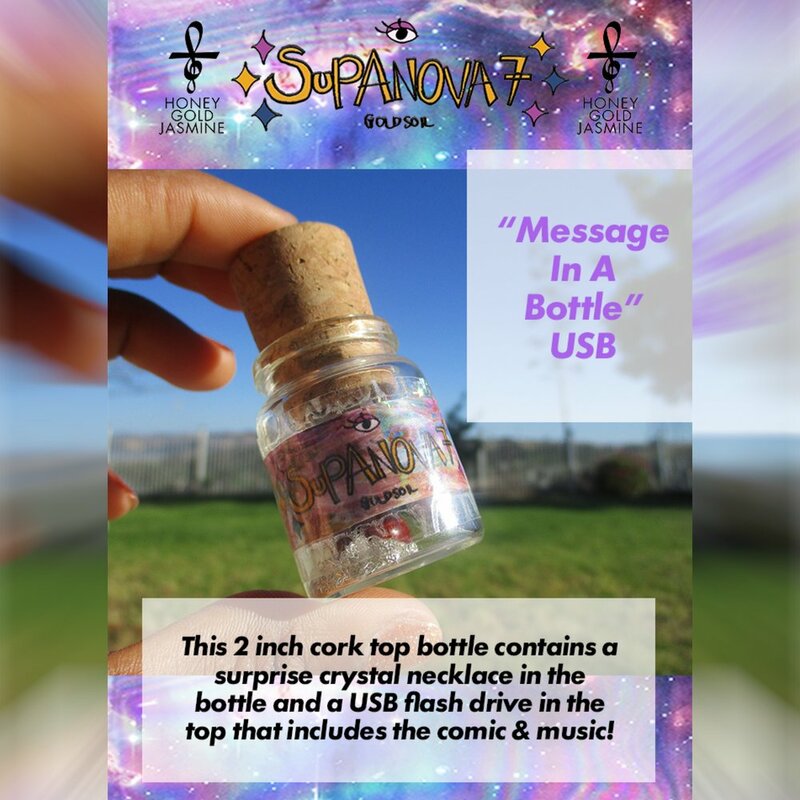 You can get the USB project that comes with a crystal as of the many perks for donating to the campaign!